Engage presents a range of fresh and irresistible fragrances that keep the chemistry between him and her sizzling for 24 hours. 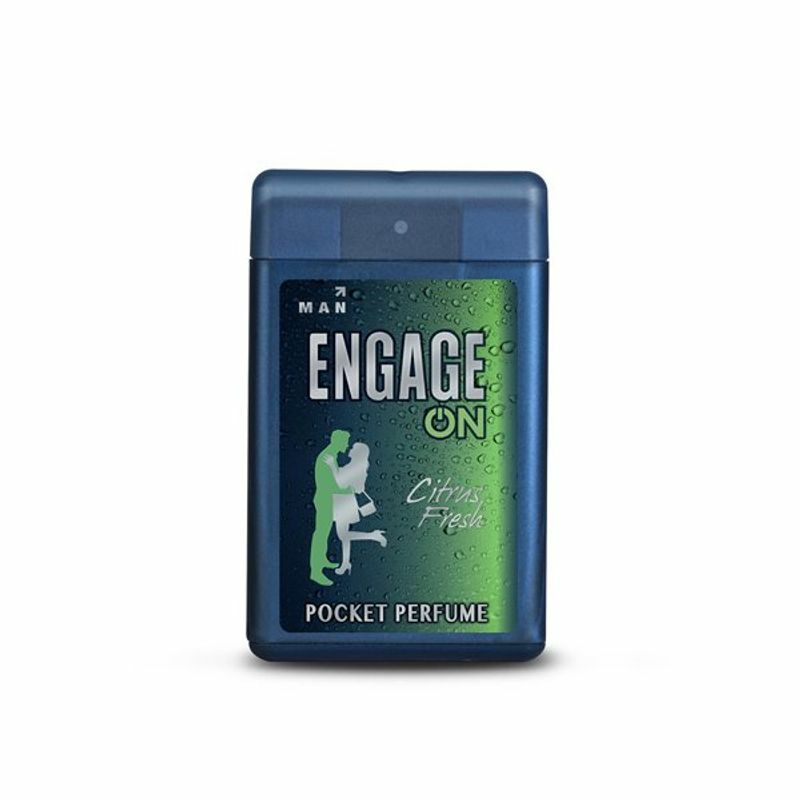 Engage On Men Citrus Fresh Pocket Perfume is a Woody Aromatic fragrance with an exotic blend of Grapefruit, sensual Amber and Musk. Built on a classic masculine inspiration it has an elegant universal appeal with the ability to please at any time or occasion. Additional Information: Engage offers wide range of deodorants that are gently refreshing and luxurious fragrances that offer a great feeling of vitalizing freshness. These range of deodorants for men and women are crafted to enhance personal grooming and confidence with 24-hour freshness. Explore the entire range of Perfumes (EDT & EDP) available on Nykaa. 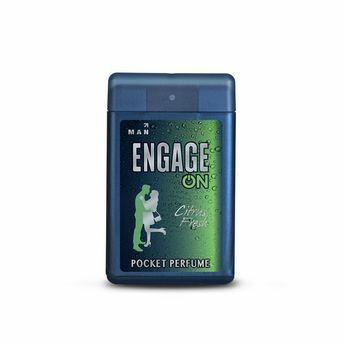 Shop more Engage products here.You can browse through the complete world of Engage Perfumes (EDT & EDP) .